The Fall issue of Cal Poly’s Construction Management Department’s magazine, Construction Innovator, features none other than Robbins|Reed and we’re stoked about it. 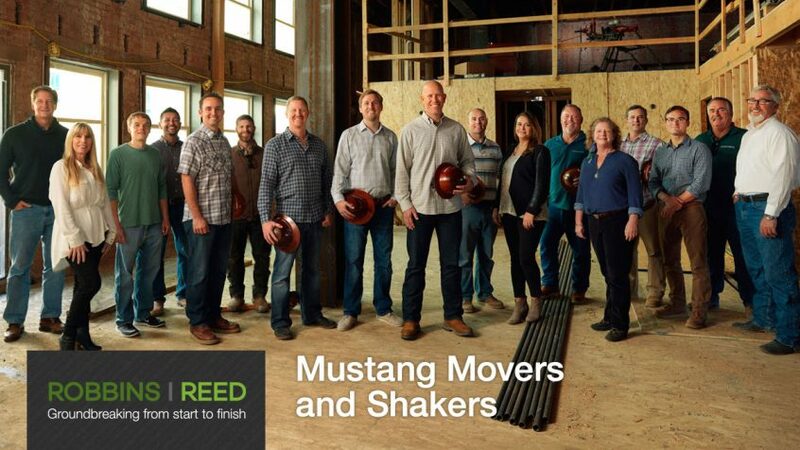 The profile shares how our very own Construction Management Mustangs Grant Robbins (’94) and Shawn Reed (’92) have made a practice of hiring talented Cal Poly alums. Founded in 2007, our San Luis Obispo contracting and real estate development firm has encouraged alumni hiring alumni for over a decade. The feature also recognized Robbins|Reed for what we are – the premier builders on California’s Central Coast. Both Robbins and Reed were given shout-outs for their contributions in our community. Robbins for his involvement with the San Luis Obispo Chamber of Commerce, and Reed for his outstanding leadership of Habitat for Humanity. Not to mention, he’s a board member of the Home Builders Association of the Central Coast. Did you know Robbins|Reed supports the Cal Poly Women in Construction club? In fact – our amazing intern Sarah De Los Reyes serves as a club officer. We’re lucky to count on her. Construction Management Lecturer Stacy Kolegraff founded the Cal Poly Women in Construction club in February of this year. Kolegraff shares that the organization is dedicated to empowering women through mentorship, networking, youth outreach, and industry support, including scholarships. The club is open to all Cal Poly students interested in construction. That’s a wrap on our latest local headlines. Know that our commitment to hiring Cal Poly graduates and supporting women in construction is important to every one of us.